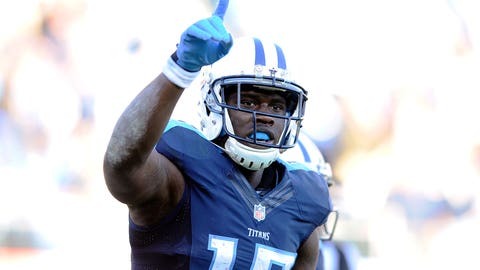 Dorial Green-Beckham caught 32 passes for 549 yards and four touchdowns in 2015. Green-Beckham finished the season with 32 receptions for 549 yards and four touchdowns. Muklarkey said the receiver, who hadn’t played since 2013 after transferring from Missouri to Oklahoma, has the ability to make a bigger impact in 2016. “The year of playing is going to be huge for DGB,’’ Mularkey said. “When he came in here, he had not played football in two years and was kind of thrown into the fire because of our receiver situation. You saw spurts of things he was capable of doing but not consistent at all. And that’s something he’s got to be more. He’s got to be more consistent.